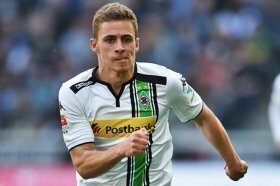 Liverpool to sign Thorgan Hazard this summer? The Belgium international, who is the younger sibling of Chelsea's Eden Hazard, has enjoyed an impressive season with Monchengladbach this term with 12 goals and 11 assists across all competitions. His form has already caught the attention of some of Europe's elite and Rheinische Post claims that Monchengladbach are likely to sanction his sale as he enters the final year of his contract. Furthermore, it is added that the Reds are preparing an approach for the former Blues ace, but they could face competition from the likes of Atletico Madrid and Borussia Dortmund. Hazard was initially in the ranks of Chelsea for three years between 2012 and 2015, but he failed to make a single appearance before making a permanent switch to Monchengladbach. The move has enabled him become a regular with the Belgium national side for whom, he has already racked 21 caps. He has scored two goals during this period.